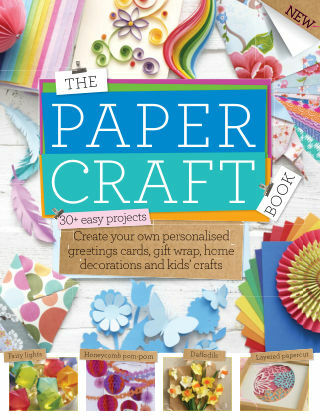 With Readly you can read The Paper Craft Book and thousands of other magazines on your tablet and smartphone. Get access to all with just one subscription. New releases and back issues – all included. Perhaps one of the most innocuous of materials in a craft lover’s arsenal, paper can be used in all types of projects. Explore your tools and materials, then dive straight in by following our simple step-by-step tutorials. Cheap, accessible and with plenty of impact, projects made from paper are great for craft newbies or old hands who are simply looking for a new stomping ground.